Here I talk to about the life I live as an advocate for community and youth justice. I share the trials, tribulations, lessons, and advice I have for the next generation to lean from. We learn from each other and grow from each other. Share your stories with me too! Voice4Society, Inc. reaches over 90 countries around the world. We’re privileged to meet people from all different cultures, ethnicities, beliefs, and backgrounds. With that said, we also recognize that the freedoms we have in America aren’t shared equally in other countries. This is why we need to utilize the freedom we are given to its maximum potential. Every American is given a fair chance to make a difference in the way our government operates. The power of vote is not one we should take lightly. We have an obligation to make a difference….a real, honest, and crucial difference in our country. There are folks dying around the world for that right. Today is Election Day and we can vote into power people who can drastically turn this country around, starting with our individual communities. Don’t take that for granted! 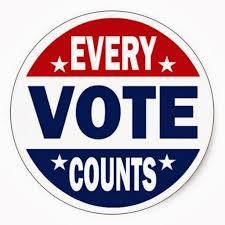 Go to the polls today and vote. If you’re like me, and have sent in your absentee ballot ahead of time, good for you! It still counts just as much as if you were going to the polls today. Do it before work, before school, after work, after school, during your lunch hour – it doesn’t matter when – just DO IT! Let your voice be heard loud and clear today. When you vote, take a picture of yourself and post it on our Facebook page or on Instagram and tag us in it. Our social media platforms are below this message. We want to say how proud we are of you by reposting it to all our followers! or email us the pictures at voice4society@gmail.com and we will get it up on our social media sites! We celebrate the one true King! 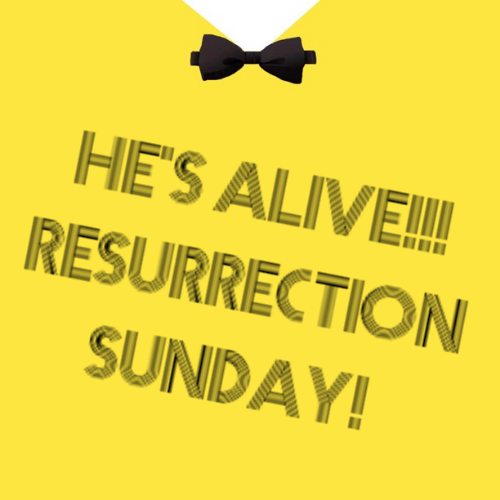 Risen! Lord of All! He died for us so we could be free. A sacrifice indeed. Oh, how we love Him. Jesus is magnificent in all His splendor. We are ever so grateful for the Blood He shed for us on Calvary. It’s because He was selfless that we could truly live. If you don’t have a church home, please feel free to visit mine! I attend Family Christian Center in New Rochelle, NY. Services start at 9am & 11:30am. There is ample parking in the back & a fantastic Childrens Church and Teen Church for your youngsters to attend. We’d love to have you! Don’t forget to praise the Lord today!! Once again, I’ve witnessed the respect of Black young men when they are called out on their behavior. I take public transportation on a regular basis (okay, okay – everyday) so I see many things. These moments give me a chance to do some personal research into the minds of the youth (listening is such a powerful tool). This evening, I happened to encounter a different set of travelers since I caught the late express bus home. Seated at the back were a bunch of teenage guys who, in all honesty, were getting reckless in their conversation. Once the topic switched to sexual encounters (and rather detailed encounters, I may add) a woman called them out on their derogatory statements. They stopped immediately and switched to another topic. With all the negative posts about black young men floating around cyberspace, I felt a duty to share this. This isn’t to say they will change the world from that conversation but it does mean that all hope isn’t “lost”. To me, I don’t care what anyone says, I am extremely hopeful for my generation, especially in the Black community. Situations like this makes me proud to work in the field of youth mentorship. 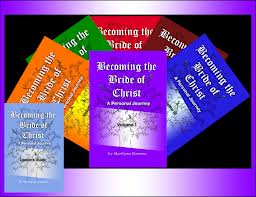 Becoming the Bride of Christ chronicles Marilynn’s personal journey as she learn to live with God as unseen Husband and Father in the home. It’s about learning to appropriate many Scriptural concepts that we’ve overly spiritualized, and bringing them down to where life is lived every day. This book can be read as an account of the lessons God’s actively teaching her, or it can be engaged in as a personal or group Bible study. There is quite a bit of Scripture in every chapter, as well as questions to help a person appropriate these lessons into their own life. One of her goals is to share a story that men as well as women can read and glean from. Too often it seems presentations on the Bride of Christ have been geared toward women when Scripture says the Church, who is referred to as the Bride of Christ, is made up of men and women. Marilynn write from a women’s perspective of course, but it’s her desire that men will be able to gather helpful insight, not just women. After all, we are all called to live out the commands of Christ in our everyday life. Disclaimer: The cool thing about taking part in this blog tour, is that I get a copy of this week’s book too! We both win!